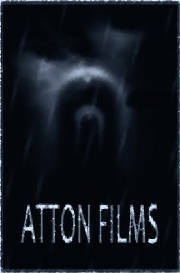 ATTON FILMS, founded by Robert James Atton in August of 2010, is an ideal platform for launching rapid and exciting growth in the entertainment world. The independent film future company, will work it's way up in the business world of the entertainment. As of right now, the films that are produced under the independent film company are and will be financing, or co-financing through DONATIONS, which by electronically paying by credit card all money goes into the film company's checking account. Will work off donations until upon eventually receiving in on our own investors in future years to come. Distribution of the films produced from and under the independent film company will be available on dvd, sold at first from the website itself, but hopes to gain video rental, plus video sales distribution in video stores, and in a variety of different store locations on shelf stock for home sales. The intentions of Atton Films, is to intentionally opportunistically target and consolidate fresh independent film-makers in getting a start towards the hollywood world as to the company itself, as a team that is hoped to be gathered over a time period, one on it's own is not as good as a team, but together we can stand, breaking the walls down on the road, travel as packed, travel together, together we can make better, and get to the intentions of where we all dream to be. Throughout the website, you can check out the different areas and future upcoming events, people, projects that all are all intended to project the movement of this independent company into the future business standards of the business of the entertainment world. It will be a competitive ride anywhere anything goes, but the goal is possible, with many possibilities in the final outcome.